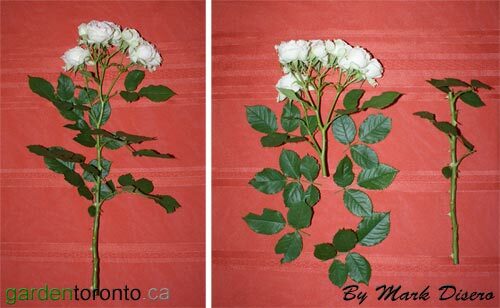 Here is an examination of the rose cuttings that I prepared last fall. 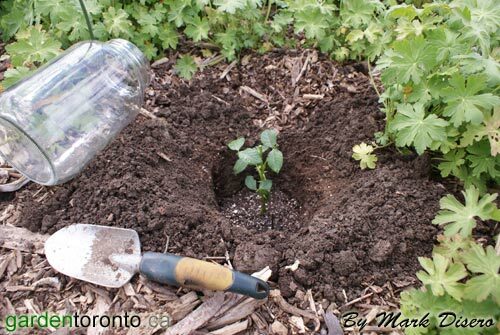 Here are some step by step instructions for you to follow if you would like to try to make new rose bushes from cuttings this summer. Below is the rose I purchased after the June 2010 GT Rose Show. On the left you see it as I purchased it. On the right you can see that I have shortened it to an 8 to 10 inch cutting. 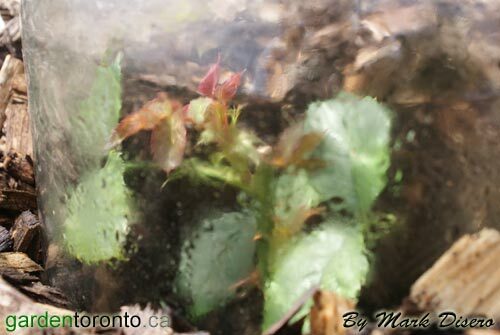 I have removed the flowers and a soft new shoot and most of the leaves. I usually make a fresh cut on the bottom about a 1/4 of an inch below the lowest node. I may use rooting hormone on the fresh cut if I have it on hand. Outside I dig an 8 inch hole about 5 inches wide. I fill the bottom 4 inches with really good potting mix. I water it and push the cutting into the good soil. I usually make a hole for it before with a stick so that I don't have to push too hard and damage the bottom. I then cover it with a pickle or sauerkraut jar. I like using them because they have a wide mouth, but a mason jar is fine. 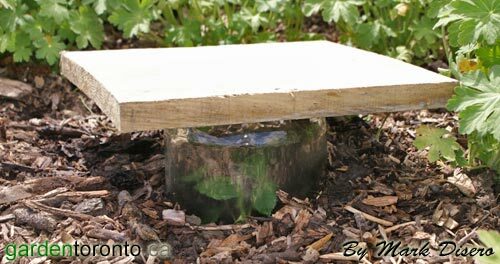 I then cover the jar with a 12” by 12” plank that keeps the direct sun off the cutting. I use a plank because it is too heavy to blow away. If the sun is allowed to hit the jar it will cook the cutting and it will die. Within 6 weeks, if the cutting takes (and 50% usually do) new shoots will begin to show. It is now safe to remove the jar. 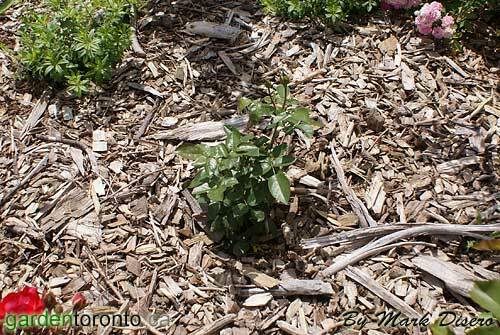 In the fall, fill up the hole with soil at the same time that you would usually winter protect your roses. This will prevent water from filling up the hole. 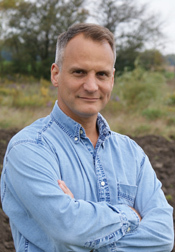 In the spring leave the soil at ground level. Note: If the cutting is taken in June or July, you may uncover it when you see new growth. If the cutting is taken in August or later, it is usually best to leave the jar in place until the spring.